Back in July, U.S. Food and Drug Administration (FDA) Commissioner Dr. Scott Gottlieb announced plans for a program aimed at reducing nicotine levels in tobacco products. As a part of the program, the question of whether premium cigars should be regulated differently was posed. As a result, the FDA announced it was extending the deadline to August 8, 2021 for when premium cigars would require pre-market approval until it could sort out this question. 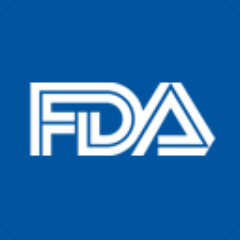 Today the FDA announced an Advance Notice of Proposed Rule Making (ANPRM) for “Tobacco Product Standard for Nicotine Level of Combusted Cigarettes”. This proposal requests public comment on setting a standard for maximum nicotine levels for cigarettes. A part of the ANPRM is the question of whether other products should be included in this standard, and notably, whether premium large cigars should be exempt. The public comment period is something that is required under the rule making process. Whether a proposed product standard for nicotine levels should cover any tobacco product, including premium cigars. If a standard were to be included, should it differ by tobacco product? Whether premium cigars should be excluded from a possible proposed product standard for nicotine levels. If premium cigars were to be excluded, would smokers who use a tobacco product subject to a nicotine tobacco product standard (such as cigarettes) start to use premium cigars in combination with that product (dual use) or in place of that product (migration)? The FDA requests information on if premium cigars would likely be dual use or migration candidates and whether or not these pose on-going health risks. What unintended consequences – such as the potential for illicit trade or for addicted smokers to compensate for lower nicotine by increasing the amount they smoke – might occur as a result of such a standard. The proposal for reducing nicotine levels is primarily geared at targeting addiction levels in other products such as cigarettes. The FDA funded a study published in the March 2018 New England Journal of Medicine known as Potential Public Health Effects of Reducing Nicotine Levels in Cigarettes in the United States. That study examines the public health impacts of one possible scenario for a nicotine product standard that would render cigarettes minimally addictive. According to the study, it uses a simulation model built from empirical data and expert opinion on the impact of implementing such a product standard. This includes usage patterns and addresses migration and dual use. The FDA is also aware of the possibility of the establishment of an illicit (black/gray) market for products exceeding the maximum nicotine levels. The agency has put together a draft document describing such a market, and what the potential impacts could be. In perhaps the most interesting piece, the FDA is also discussing growing and curing practices by tobacco farms. Specifically, the FDA wants to know the impacts (cost/benefits) to tobacco farmers and processors if a nicotine standard were to be implemented. The FDA notes the possibility that tobacco farms or distributors could potentially be sources for illicit tobacco. The public comment period opens up on March 16, 2018 – the date when this proposal hits the Federal Register. Following publication, the period for providing public comment is 90 days long, ending June 14, 2018. How about reducing or measuring the Nicotine levels in: Eggplants, Potatoes, Tomatoes, Peppers, Celery . . .
How about reducing or measuring the THC levels in the fashionable various Cannabis products: baked goods,THC tea, THC coffee, mouth chews, snuff . . .